A MTA report on a NYC fatal bus accident that happened last October indicates that the accident was preventable and that the actions of the bus driver were the most probable cause of the accident. The report indicates that the bus driver, 64 year old Theresa Gallager, was driving North on Willis Avenue in the Bronx at 1:40 am and turning left with a green light onto E. 147th Street when she hit 64 year old John Lavery who was crossing 147th Street in the crosswalk with the right of way. 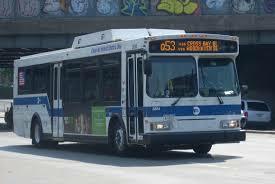 MTA drivers are supposed to take turns at a speed of 5 mph. Gallager was driving at a speed of 11 to 15 miles-per-hour when she turned. If she had followed MTA guidelines and driven slower, the death of John Lavery may have been prevented. Many of the frequent accidents involving pedestrians being hit by buses are the result of drivers who work long hours, are frustrated by the NYC traffic congestion and drive aggressively feeling they always have the right of way and it is the pedestrian’s obligation to get out of the way. Gallager was the first of six bus drivers that have been arrested under the city’s Right of Way law, which makes it a misdemeanor to fail to yield to pedestrians and cyclists. In an article in the Post Theresa Gallager’s lawyer and the bus driver’s union blame a broken street lamp for the accident but according to the Gothamist, the report clearly indicates that the bus driver was responsible for the accident. Domikick Deluca, a 25 year old construction worker, died after falling from scaffolding yesterday. The young worker was doing facade work at the Butler Houses on Webster Ave in Claremont in the Bronx when he lost his footing and fell 15 feet . He landed on his head and was transported to the hospital unresponsive and with severe trauma. He was declared dead when he arrived at the hospital. This construction worker is the 8th person to die in a construction accident in New York City since the beginning of the year (see previous blog) . A doctor who prescribes opioids to a patient with a history of abuse, fails to closely follow up with a patient who exhibits addictive behavior or disregards family concerns or warnings from other professionals such as pharmacists or primary physicians could face medical malpractice and/or wrongful death litigation, criminal prosecution, and a disciplinary proceeding by the State Medical Board. In New York City, deaths related to opioid analgesics have increased 256% from 2000 to 2013 in Manhattan, Staten Island and the Bronx are the most affected of the 5 Boroughs. To fight this epidemic, the New York Sate Department of Health is launching a Bronx detailing campaign during which representatives will visit more than 1000 doctors to educate them about about safe and judicious opioid analgesic prescribing. A similar campaign in Saten Island in 2013 lead to a reduction of 29% of overdose deaths from opioid analgesics. A tractor trailer fatally hit a young man who was crossing a street in the Bronx, NYC, Tuesday night. The truck accident happened around 10.20 pm. 20 year old Kenny Valette was crossing Webster Ave near E. 174 Street when he was struck by a large truck that was making a right turn from the Cross Bronx Expressway exit ramp. The drivers remained at the scene while Valette was transported to the hospital where he died from his injuries. Read more in the NY Daily News. 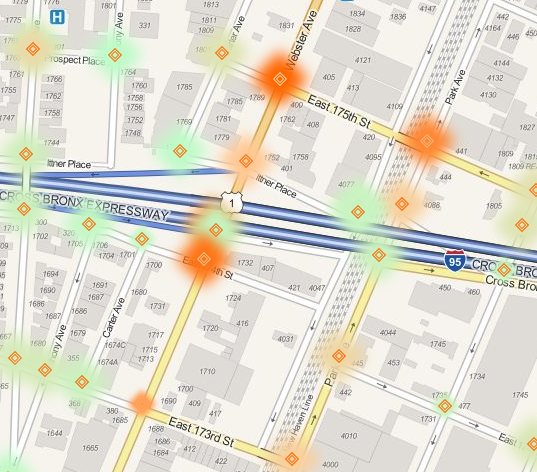 According to NYCcrashmapper.com, 1 pedestrian, 11 passengers and 3 vehicle drivers suffered personal injury in 29 collisions that took place at the intersection of East 174 street and Webster Ave between August 2011 and February 2014. As shown in the Heat map this intersection is very dangerous.